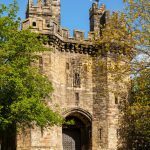 Lancaster Castle – unlocked, online and on the mobile! Working in partnership with the IT development team at Lancaster University, the Duchy of Lancaster has today launched a brand new web-based digital and virtual reality tour of Lancaster Castle. Designed to provide an insight into parts of the Castle that are normally closed to the public, the new applications are available via links on the Lancaster Castle website and will also form part of the University’s iLancaster and City, Coast and Countryside apps. The web-based digital tour, which can be accessed on any computer or mobile phone, incorporates floor plans, image galleries and a 360-degree ‘look-around’ facility with audio commentary, written descriptions and zoom-in. It explains the original purpose of each of the main buildings, together with their history and heritage and has been created to provide ‘online visitors’ with a more in-depth knowledge of what the Castle has to offer. For those who prefer a more immersive experience, the new VR ‘walkabout’ is simple and straightforward to use. 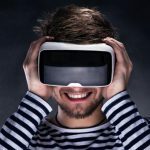 By simply placing a mobile phone inside any VR headset or cardboard lens, ‘virtual visitors’ can take a tour of the Castle from wherever they are in the world. They can venture down into the dungeons of the medieval Well Tower where the Lancashire Witches were held in 1612 or experience the Pentonville-style male penitentiary in A-Wing almost first-hand. The new online resource was deliberately commissioned by the Duchy while some of the Castle’s buildings are closed to the public as part of the extensive conservation works currently underway. To access the digital and VR tours, simply visit ‘The Castle Today’ page on the Lancaster Castle website www.lancastercastle.com or download the free iLancaster or City, Coast and Countryside apps on your mobile phone.